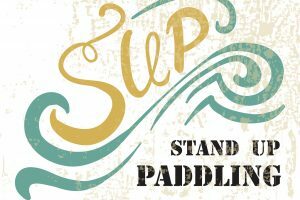 Did you know that there are various types of stand up paddle boards that fit specific needs? 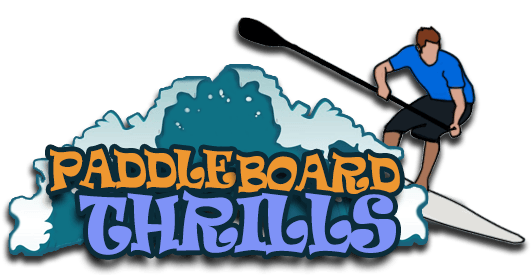 We will identify the five types of stand up paddle board types, which include touring or racing paddle boards, flat water paddle boards, yoga paddle boards, surf paddle boards, and inflatable paddle boards. 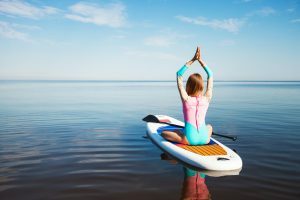 Although you can use a flat water paddle board for your yoga session, it may not offer the same grip that a yoga paddle board offers. Learn more about the specific use and benefits of each type. If you want speed and a long-distance cruise, then a touring paddle board is perfect for you. You might think that this type of board is unstable, but you’re wrong because it is actually simple to control. These are more expensive than other boards because they are made with special customizations for speed. As compared to other types of boards, touring boards are made longer and slimmer to increase speed. They mostly have a displaced hull design to cut through the water easily. Although they may be constructed in a narrow fashion, they are made thicker to reduce the drag of the board against the water. This may not be good for beginners since this requires an expert control to be stable. 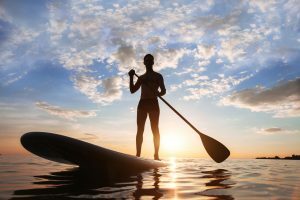 If you are a beginner and enjoy the calm waters of a bay or a lakes, then a flat water paddle board is suitable for your needs. This doesn’t work in waves, but it offers you the right stability that you need in calm waters. You can stay on your board without the fear of being thrown off into the water. In choosing for the right flat water board, consider the dimensions as they determine the stability of the unit. It is advisable to get a board with the width between 30-34”. If you are still learning how to balance on the board, choose a wider board to have a wider base for your feet. If you are a yoga enthusiast, you could try to do various yoga positions using a yoga paddle board. 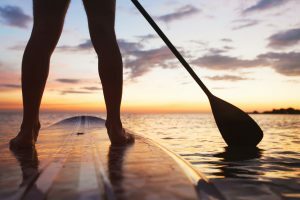 Although yoga paddle boards are quite similar to flat water boards in terms of width dimensions, yoga boards offer a large mat area for grip. 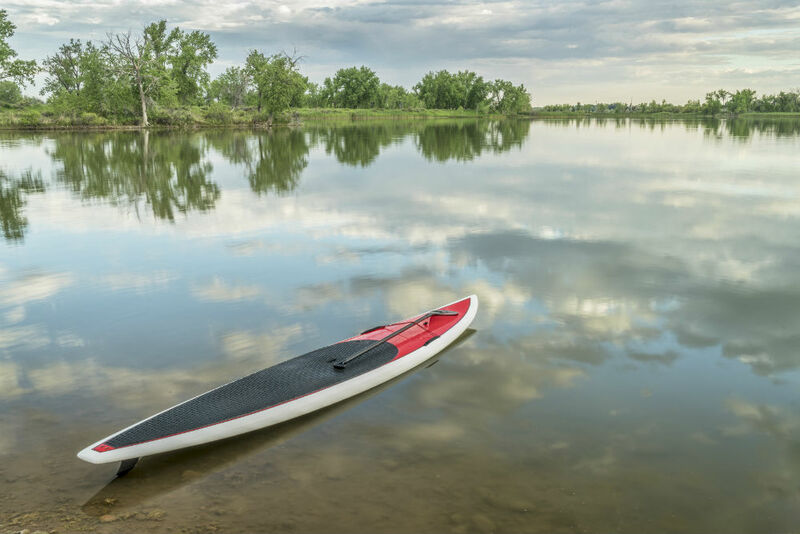 The wider the yoga board, the better it is because it offers more stability on the water. A softer mat area is also much preferred to give comfort as you do all the different positions. If you like paddle surfing, then a surf paddle board is the right one for you as they are shorter and narrower to give easy control. They are built for easy maneuvers and high performance. They may not work perfectly on long distance rides, because they don’t have the same stability that flat water boards offer. One of the best yoga paddle boards is the Aqua Marina Flow 9’9” which offers a full EVA pad coverage on its front part. It also has a diamond groove design for optimal traction and stability. It is built for durability as it is made of a PVC material and dropstitch design. This comes with 3 fins for optimum stability and a carry strap for easy transport. You can even bring your cargo with you by affixing it with the elastic bungee cords. 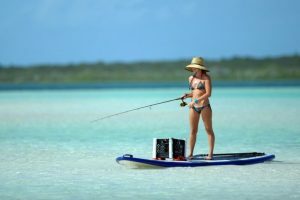 If you aim for portability and easy storage, then an inflatable paddle board is perfect for you. These boards can be deflated and rolled up in a storage bag to save space in your vehicle and home storage area. 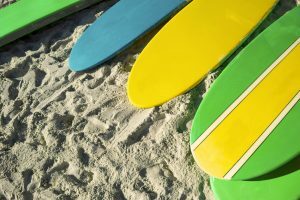 They offer a lightweight design and portable transport, but they may not be as stiff as hard boards, limiting you in riding against waves. 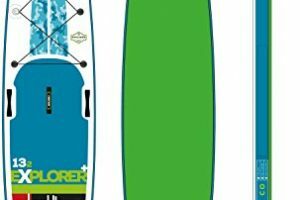 One of the best inflatable paddle boards is the Tower Paddle Boards Adventurer Inflatable 9’10” Package which offers rigid construction, similar to a hard board. It already includes a pump and an adjustable fiberglass paddle for a complete package. You can be ensured that this board remains durable against dings and cracks due to its military-grade PVC material and dropstitch construction.